Why would anyone consider a hastened death? Why do people seek physician-assisted suicide? As this option has been available in selected states and countries for decades, the typical scenario is probably different from what you imagine or fear. The good news is that vulnerable patients do not appear to be pressured to take this option. Instead, the typical patient has cancer, is older, white, well-educated, and does not have extreme pain. He has lost independence and quality of life, fears increased pain, and prefers to choose the timing of his exit. 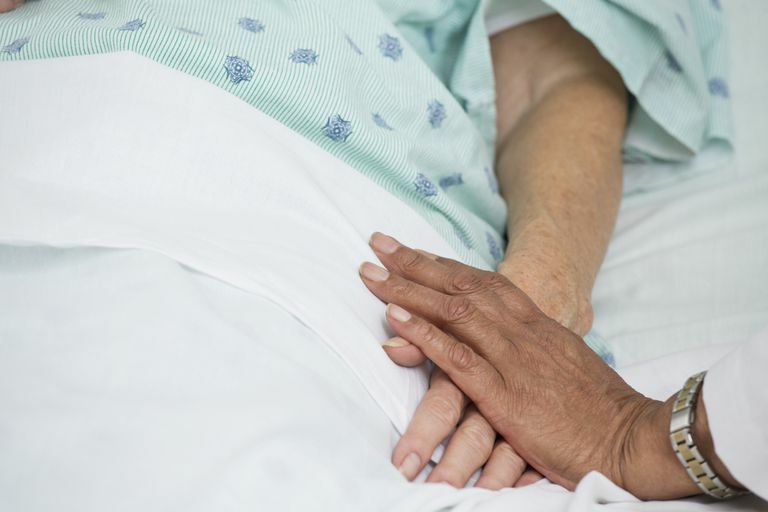 Great strides have been made in improving end-of-life care through palliative care and hospice programs, but sometimes it's just not enough. Many elderly and chronically ill patients in America die in pain, and many nursing homes are understaffed. Chronic and life-limiting illness can also make a person feel like they have lost all control of their lives. The body isn’t doing what it should and there’s no way to stop it. Physician-assisted suicide (PAS) may feel like a way to regain some of that control. If they can’t control the illness, they can at least control how they die. The quality of life is the driving force behind patients seeking PAS. Loss of autonomy, or not being able to care for oneself and make one's own decisions, is reported in 90 percent of cases of PAS in Oregon. Closely following are the loss of one's dignity and the loss of being able to participate in enjoyable activities. It goes without saying that physical suffering greatly diminishes the quality of life as well. For those who are suffering in their final days of life, death can be a welcome event. They may feel that it will permanently relieve their suffering and alleviate the burden on their loved ones. Physician-assisted suicide may seem like the best option for them and their families. In U.S. jurisdictions where legal, the percentage of physician-assisted deaths were 0.1 percent to 0.2 percent of all deaths, while in the Netherlands it is 1.8 percent to 2.9 percent of all deaths. U.S.: Physician-assisted suicide is legal in five states as of 2017: Oregon, Washington, Montana, Colorado, Vermont, and California. It has been legal in Oregon since 1997 and the Oregon Health Authority produces a yearly report on PAS. Less than two-thirds of Oregon patients who receive a prescription for PAS die from ingesting the medications. That number has remained consistent over two decades. The number each year receiving the prescription is small, although growing, increasing from under 100 per year through 2010 to over 200 per year in 2015 and 2016. Only 1,127 patients died from physician-assisted suicide in Oregon from 1997 through 2016 while 1,749 prescriptions were written. 90 percent of Oregon PAS patients died at home and 88 percent of them were enrolled in a hospice program. Physician-assisted suicide accounts for 37.2 per 10,000 deaths in Oregon, the number doubling since 2010. Less than 1 percent of physicians in Oregon and Washington write a prescription for PAS each year. Canada: Physician-assisted suicide was legalized in Quebec in 2016 and nationally in June 2016. Physician-assisted suicide is legal under strict circumstances. The right to choose physician-assisted suicide remains highly favored. 60 percent of Dutch physicians have granted requests for PAS. Belgium: Legalized euthanasia in 2002. Luxembourg: Legalized euthanasia and assisted suicide in 2009. U.K.: Physician-assisted suicide is illegal. The current movement there is to focus on palliative care, not euthanasia. Elsewhere in the World: Physician-assisted suicide is legal under strictly defined regulations in Colombia, and Japan. Death With Dignity Act. Oregon Health Authority. http://www.oregon.gov/OHA/PH/ProviderPartnerResources/EvaluationResearch/DeathwithDignityAct/pages/index.aspx. Emanuel EJ, Onwuteaka-Philipsen BD, Urwin JW, Cohen J. Attitudes and Practices of Euthanasia and Physician-Assisted Suicide in the United States, Canada, and Europe. Jama. 2016;316(1):79. doi:10.1001/jama.2016.8499. Ganzini L, Goy ER, Dobscha SK. Oregonians Reasons for Requesting Physician Aid in Dying. Archives of Internal Medicine. 2009;169(5):489. doi:10.1001/archinternmed.2008.579. Steck N, Egger M, Maessen M, Reisch T, Zwahlen M. Euthanasia and Assisted Suicide in Selected European Countries and US States. Medical Care. 2013;51(10):938-944. doi:10.1097/mlr.0b013e3182a0f427.